Mortal Engines Review | An underwhelming piece of trash. 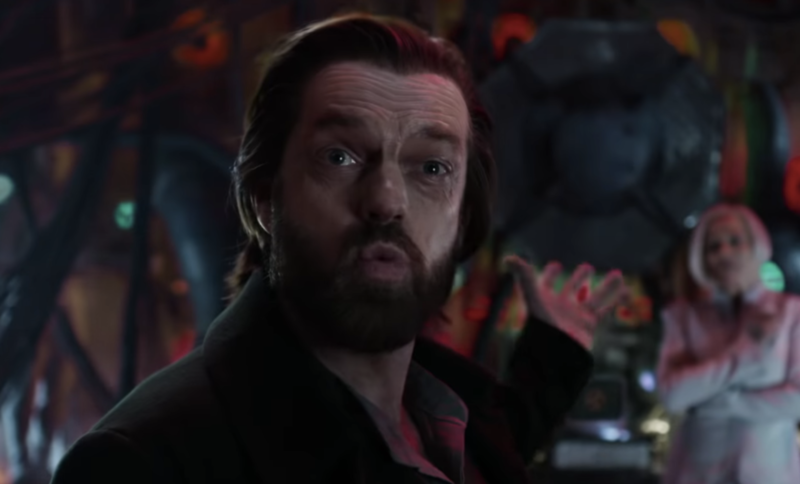 I suppose the first thing worth mentioning about Mortal Engines is that the script, written by Peter Jackson, Fran Walsh and Philippa Boyens, is bad. It is violently woeful. Mortal Engines is one of the most unfortunately written films that I have come across in some time. It is so subpar that no spoken lines are good and almost all are tremendously bad. The second thing worth mentioning may be that every now and then, I enjoy a film that has no real business being enjoyed. I still receive comments and text messages of complaint about a recommendation I made last year of Alex Proyas’ Gods of Egypt, a film I enjoyed that, as it turns out, the rest of the world loathed. This relates to Mortal Engines only in the sense that for some time, I thought that I may have a similar reaction to it as I did to Gods of Egypt. My usual instincts in regards to evaluating a piece of cinema were suggesting that I was watching a severe piece of trash, nonetheless I was engaged with what was transpiring. For a time. Make no mistake, Mortal Engines is a brutal mess. This is the sort of film in which five of the main characters chance upon the same part of a city that is being ripped apart just in time for crucial narrative information to be imparted onto all of them. It’s also the sort of film in which characters get their affairs explained to them in lieu of character development. “You have no parents, no prospects,” one character is reminded, for who’s benefit but ours? It’s the sort of film in which people regurgitate impenetrable and imaginary science fiction jargon that stands in for productive, creative dialogue. “I reconfigured the matrix,” Hugo Weaving‘s Thaddeus Valentine informs one of his minions. “I need more to stabiles the isotopes,” is the reply he receives. If you’re into that sort of stuff, you’ve a greater sense of patience for nonsense than I do. That nonsense includes cities on wheels. We’re in the future and the world has been obliterated by nuclear-esque weapons. Why we turned to cities on wheels is anyone’s guess. Perhaps the answer lies in the source novel by Philip Reeve but it’s certainly never explained here. The film treads a hazy lines between good, engaging, bad, dumb and terrible before it ends up just being the last three. 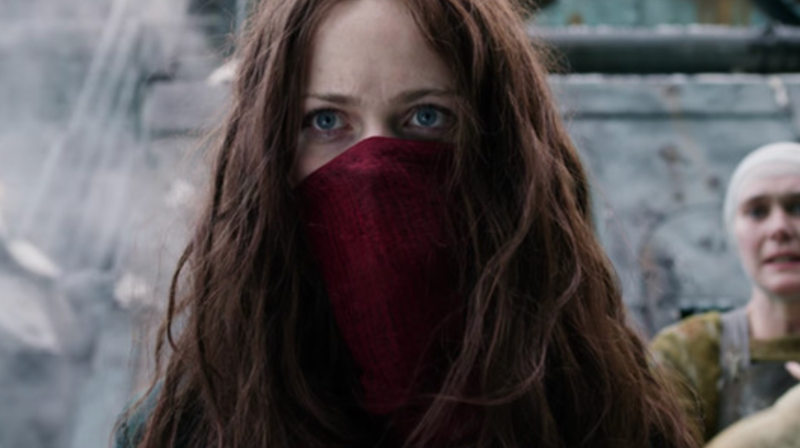 It may be for the best that Mortal Engines never details why cities are on wheels. Too much thought can kill a poorly constructed science fiction and Mortal Engines is doing enough self-harm as it is. I do know that if the cities weren’t on wheels, the need to ingest and destroy smaller cities in the search of fuel would be eliminated. Unfortunately for Mortal Engines, that’s the crux of its universe. 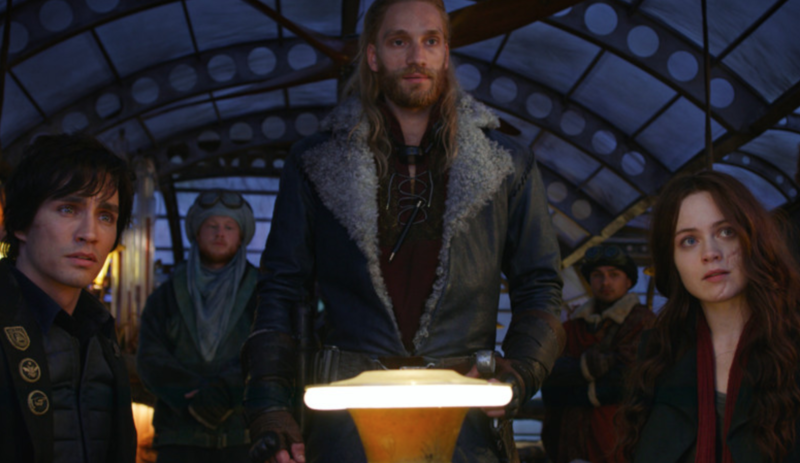 My favourite part of Mortal Engines was when the fantastically names Bevis Pod (Ronan Raftery) informs Katherine Valentine (Leila George) – a potential love interest? Not even the film knows – that “the first rule of down here is keep your mouth shut.” He’s talking about the lower part of the city that he lives in, as opposed the the upper (and upper class) part that she lives in. Keep your mouth shut. Rules are meant to be broken, they say. A moment later he’s telling her everything she wants to know. “He who controls this controls the world,” Hugo Weaving declares at one point. He’s talking about a giant super weapon that he’s building. He’s also paraphrasing Frank Herbert’s Dune, a far better piece of science fiction than the film he’s in. I’ll give Mortal Engines one thing. It’s not often you see a person outrun a city.